Just a stone's throw from the Red Square and Kremlin you can purchase that Bentley you've had your eye on. 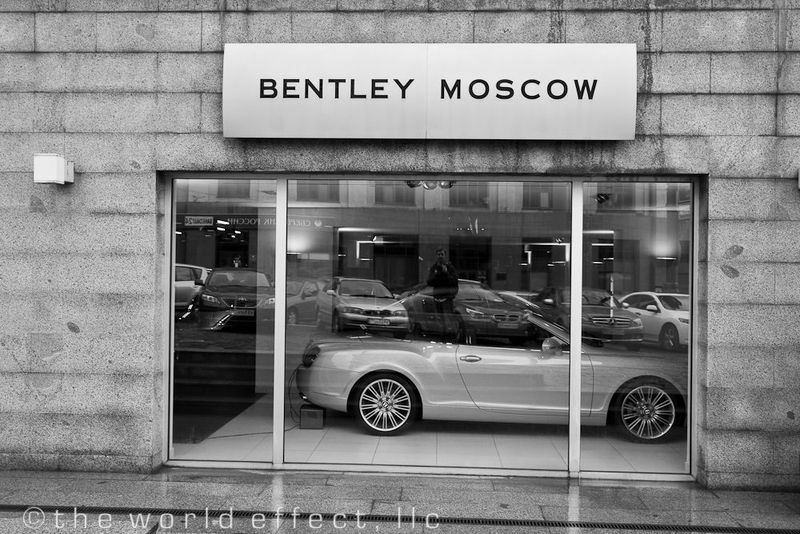 Right in the center of Moscow, next to one of the world's most historical and politically charged locations stands a car dealership with a sleek and modern Bentley marquee. Capitalism is not just a whisper here. In Moscow, luxury cars, fashion boutiques and swanky sushi bars with $12 drinks can be found in abundance. Oh, buying a $200,000 car is not your thing? Wondering what the communism days were like? So were we and Meggan and I found the perfect place to go, the All Russian Exhibition Center (the Vserossiyskiy Vystavochniy Tsentr or VVT). The VVT is a massive complex, I use the word complex because it's not quite a park, kind of a fair ground, but maybe more of a memorial? I'm not sure what to call it, but it's quirky. 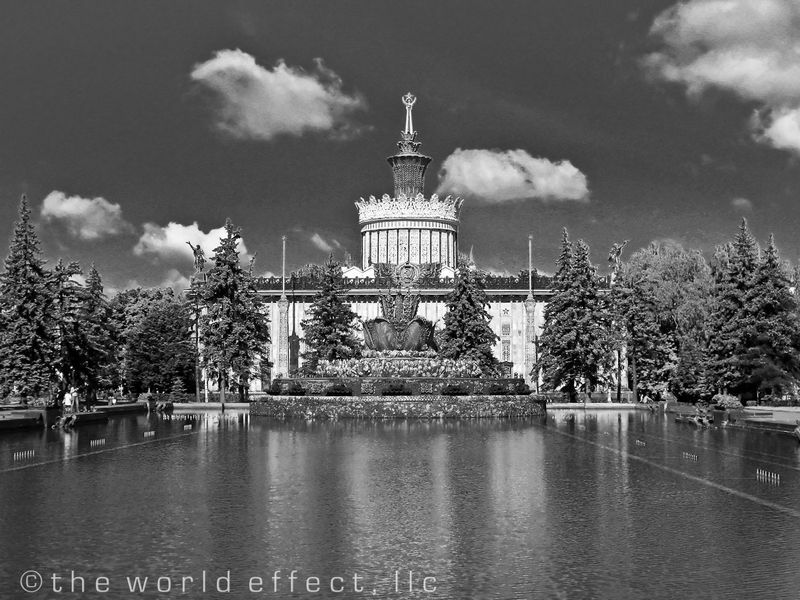 This 500 acre parcel was the brain child of Stalin to exhibit soviet innovation and achievements. 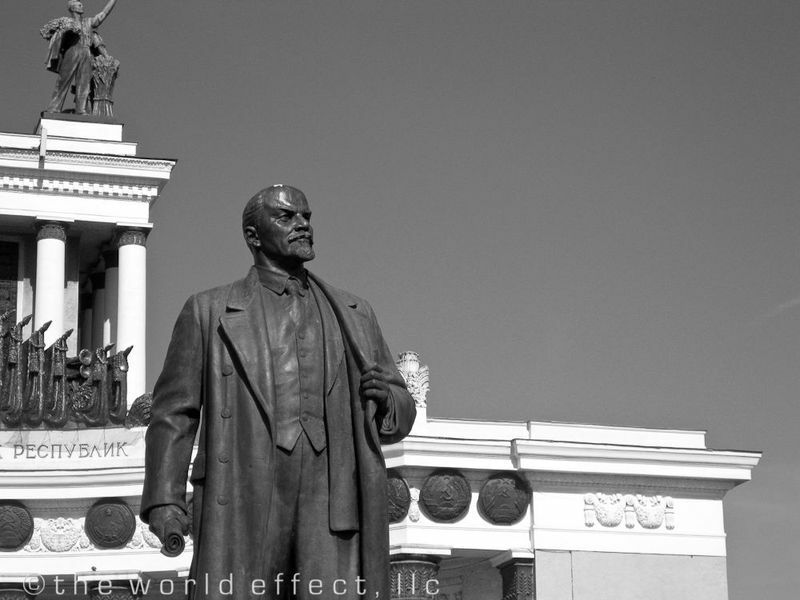 The area is adorned by statues of Lenin, fountains, gardens and several buildings with the "over the top " Stalinist architecture. Although you will see things like a giant Shrek walking around for photo ops and some tacky trinkets for sale, the VVT still retains much of the feel of 1950s Russia. We even tried on some unidentifiable types of fur hats to get into full character of the times. Some of the buildings dedicated to former Soviet states are deteriorating and boarded up, adding to the days gone by feel. All the structures on the property are very different, but very communist in their own way. It's great to walk around and take it in. This place is full of personality you can't find just anywhere. 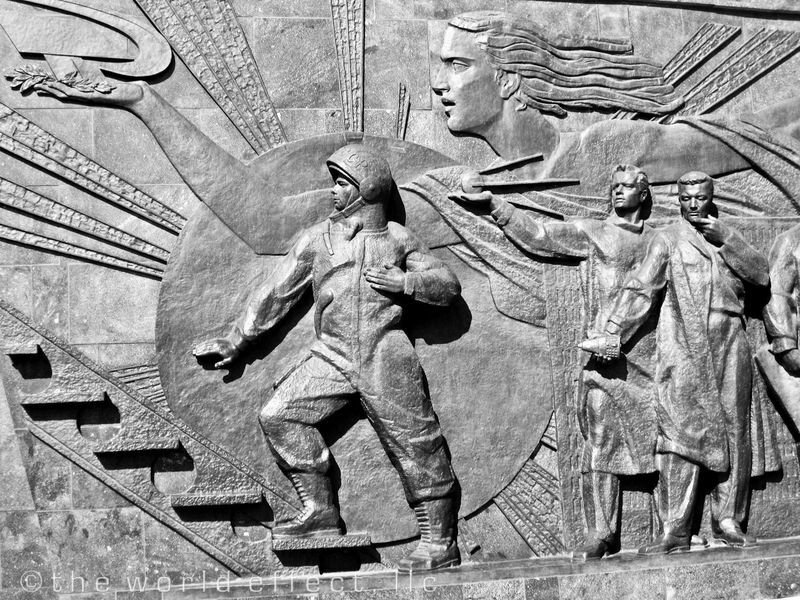 I did enjoy seeing pretty much everything at the VVT, but I did have a hands down favorite, the monument for the Cosmonauts. I am a little biased, I'm a bit of a space geek. 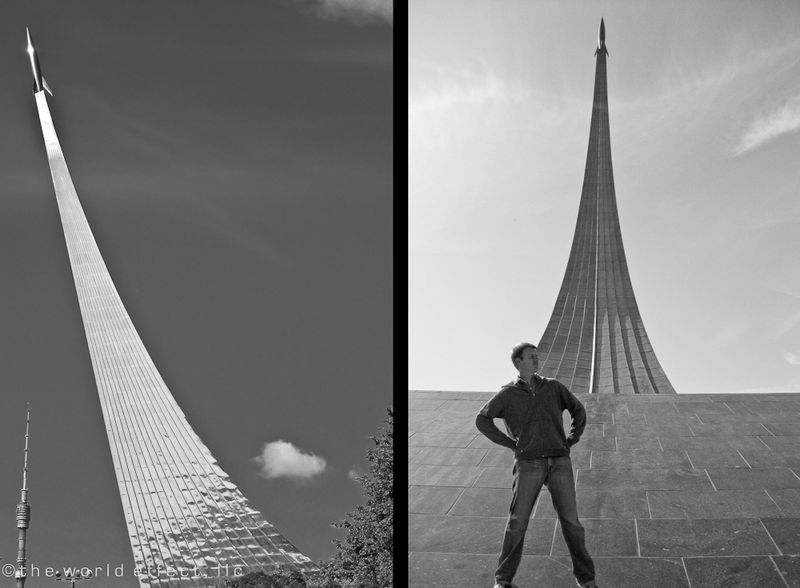 It was really fascinating seeing this place after reading books about the space race between the USA and USSR. In 1961 Yuri Gagarin became the first human in outer-space and to orbit the earth. At the VVT it's pretty clear who won the "first man in space" contest. If you're ever in Moscow, take the subway up to the VDNKh (orange line) stop. 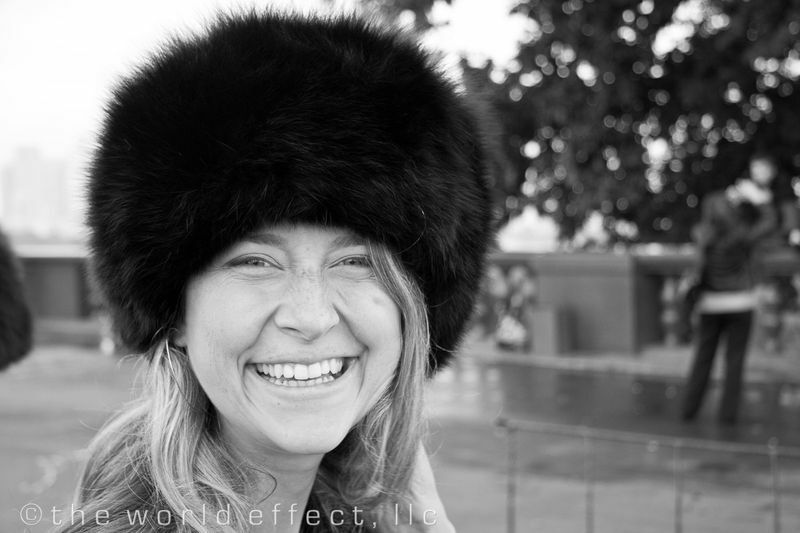 Have a couple beers with the locals, try on a few fur hats and make a heroic cosmonaut pose. 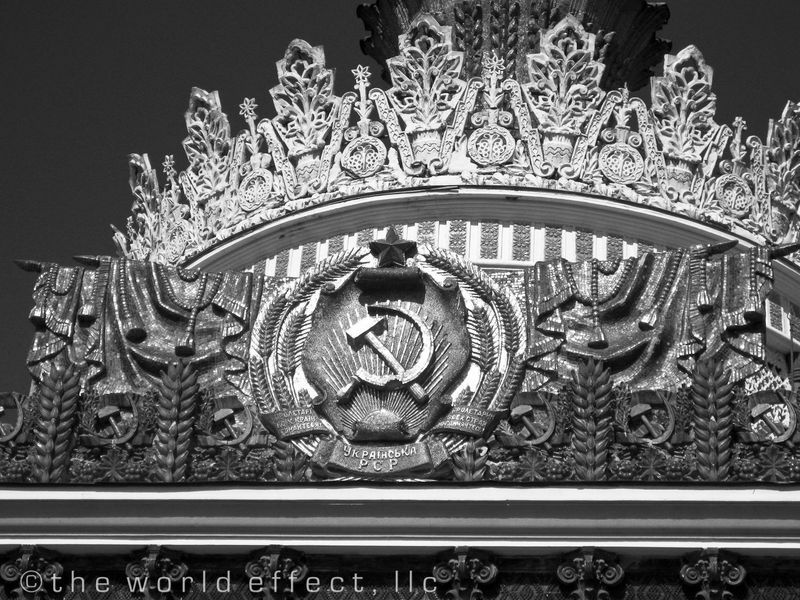 You will get a feel of the Stalinist days in Russia at the VVT, it'll be great, we promise.